There is a Chinese saying that goes “eat breakfast till you’re full, eat lunch well and eat less at dinner”. The idea is that you should not skip breakfast as it is the fuel that gets the engine started in the morning. 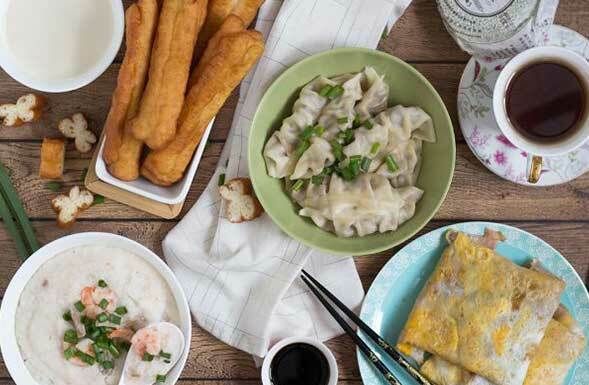 Here is the list of Chinese breakfast that you should not miss. Making it to the top 8 is cha ye dan. 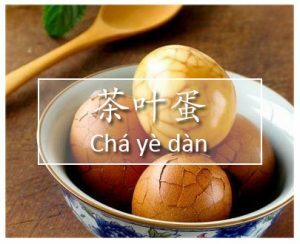 It’s an egg that has been cooked in a tea leaves brew (plus other ingredients) for hours. It’s a very simple breakfast and is sold at many convenience stores in China. Congee is basically rice cooked with plenty of water to a thick and almost soupy consistency (depending on which region the congee is from). Some people prefer the thicker version (see the picture) and some prefer the more watery version. To make it more flavourful, you can add ground meat to the mix or use chicken broth to cook the congee. This can be had with a variety of garnishes like green onions, fried wonton skin, century egg, pickled veggies, eggs, and just about anything you like. Doujiang is a sweet soybean milk and can be served hot or cold. People tend to have doujiang and youtiao together by dipping the youtiao (fried dough) in the doujiang and eat it. Most of non-Chinese people are not accustomed to the idea of dipping something greasy into a sweet drink; they prefer having them separately. For Cantonese people (from the southern China), they usually have youtiao with congee. 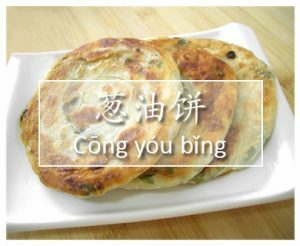 Congyoubing is an onion fried bread that comes with different types of fillings or plain. It tends to be greasy so it’s not the healthiest breakfast to have. However, if you like onions and fried bread in general, this can be your staple food. Foreigners in China usually have this as a mid-day snack rather than breakfast. 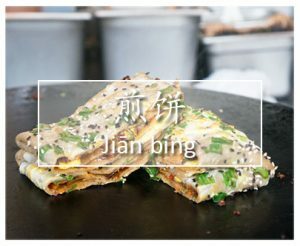 Jianbing is like a godsend Chinese breakfast to foreigners in China. It’s a Chinese cousin to the French crepe, but with slightly different ingredients. Made on a hot flat grill with a flour mix and an egg, you can have a crepe filled with fried lettuce, green onions, coriander, ham and fried tofu skin or fried dough (youtiao). Before serving, it is lathered with sweet brown sauce and chili (optional). 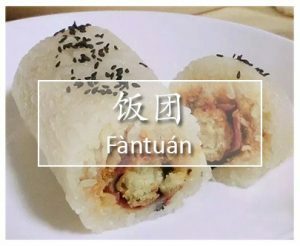 At number three, we have fantuan, a rice roll filled with various ingredients like eggs, fried dough (youtiao), sausage, pickled veggie or just about anything you like. This rice roll is not cut or wrapped in seaweed like sushi rolls. It’s very filling and can keep you fueled for hours, while also convenient to eat on the go. 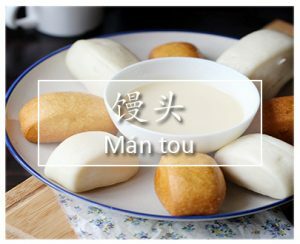 Mantou is almost like baozi except it doesn’t have any fillings. It can be steamed or deep fried, and sometimes dipped in condensed milk for sweetness. If you had a chance, you can also try a deep fried mantou dipped in chili crab gravy (a classic Singaporean dish). It is heaven! 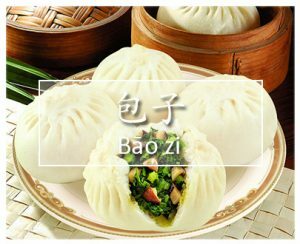 Topping the list of the most popular Chinese breakfast undoubtedly is baozi, a steamed bun with fillings. It is usually stuffed with meat and vegetables or you can opt for the sweet ones, like a custard bun or a red bean paste bun. A steamed baozi is the best when eaten fresh out of the bamboo steamer. In a truly Chinese fashion, you should hold the baozi with two hands and split it open to let the steam go. Once it has cooled down, you can safely devour your baozi. So which ones have you tried?